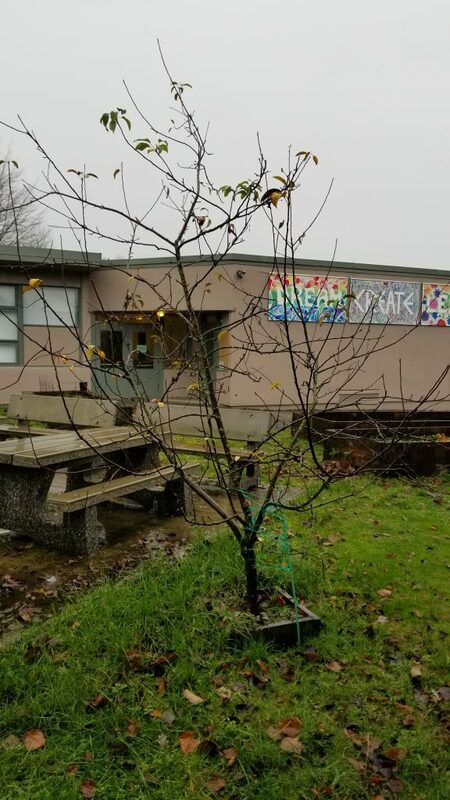 A few years ago my school planted two apple trees in the garden. They are wonderful trees, but when I looked at them this year I noticed there were a couple of problems with them, and they aren’t thriving. I looked around to find resources I could use to plan how to help the trees, specifically an arborist or any courses about pruning and caring for trees. 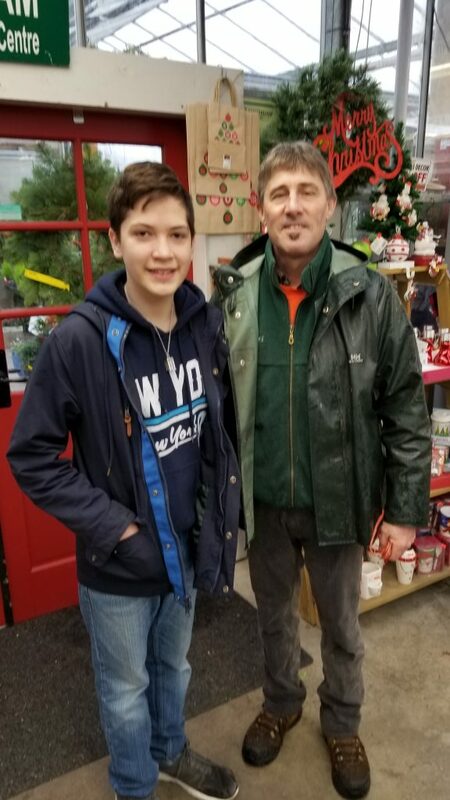 I reached out to Mike Lascelle at Amsterdam Greenhouses, and asked if he could take a look at the trees. He asked me to take photos of them to see the structure and how they were doing, and come in and talk to him. –Pruning Inward branches (Branches that grow towards the core of the tree). This is necessary for growing the tree out, because it is inclined to spread if its branches are farther apart. This also stops the tree’s branches from crisscrossing, which is a very good thing because it prevents pest from getting around as easily. It also helps the trees grow taller. 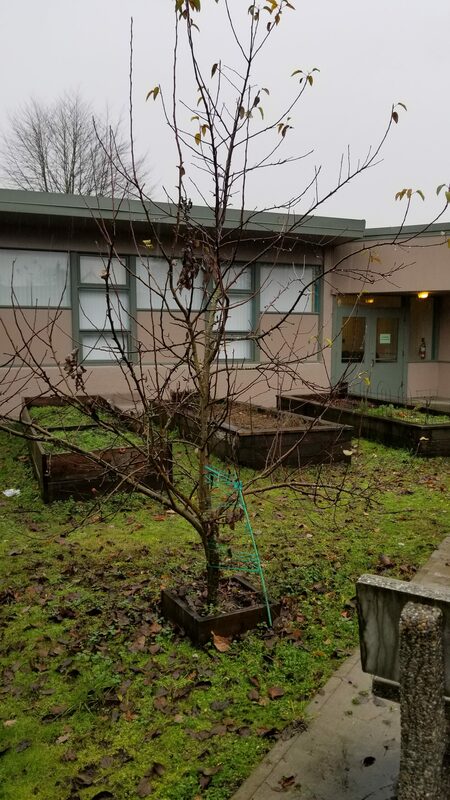 He said the best time to prune it would be in the dormant season in January/ February. As they have a free pruning class in February he encouraged me to come to that and then attempt to prune them after. 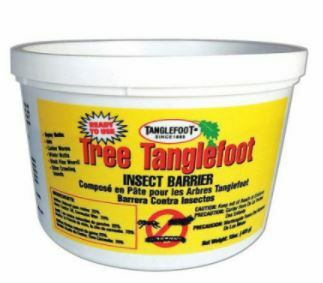 -Using Tanglefoot to destroy the ant colony. One of the things I noticed about the trees was that they had a lot of ants farming aphids on them. To get rid of this problem he told me that Tanglefoot creates a barrier using non drying gum resin to trap ants. Some of the cool things that it does are 1. trap ants in its stickiness, and 2. you can stir it up so it is reusable. Tanglefoot, Via SPARKYBOY Enterprises inc.
-Preventing Apple Scab. He noted that my trees may have something called Apple scab. The leaves develop rounded or irregular spots which may appear brown or black in colour. Fruit produces symptoms of brown to black scabs, and cracking being common with infections. Our apple trees have been infected with this for a very long time, and there is a specific oil we can use in order to help – dormant oil spray. He also suggested checking the inside of the apples themselves because worse than apple scab it could be Apple Maggots. If they are the maggots we will have to use traps in order to kill them so that they don’t wreck the apples. He said the best things to do right now would be to clean all the leaves and all apples and get them out of the site so that they don’t contaminate any new crops. 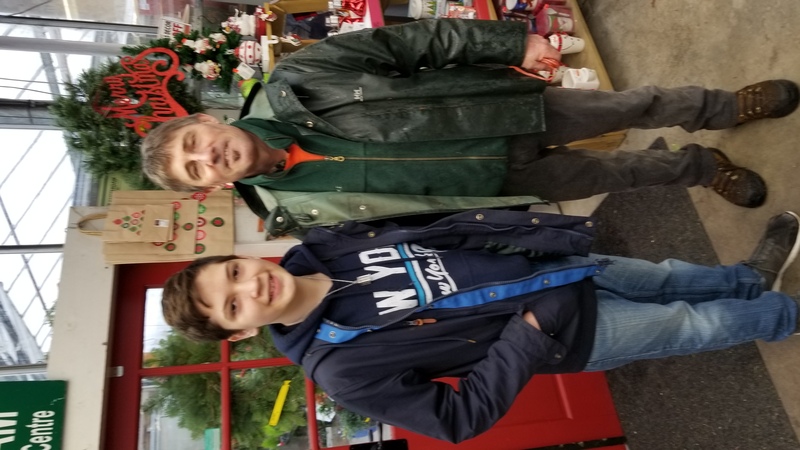 From talking to an expert ( Mike the arborist) and my own research I am learning some basics of tree care, from pruning to pest control and curing infections. 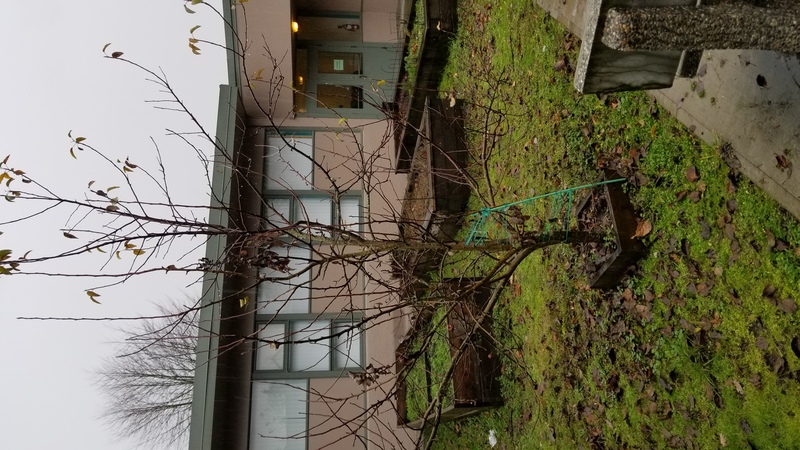 I feel that the trees add a lot to the community garden and that taking good care of them will be an essential part of people’s enjoyment of the garden.